Steve Ryan reflects on the prelude to the upcoming day of co-ordinated strike action by public sector trade unions, due to take place on the 30th of June. 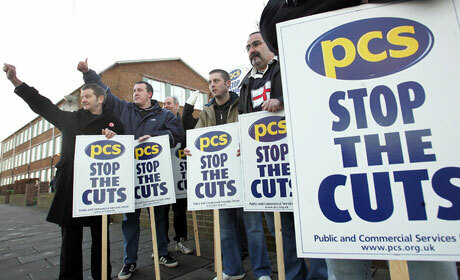 PCS members on strike in 2010.
time to build a new rank and file? Meeting to discuss building for June 30th: called by the London group of The Commune. 7pm, Monday 9th May, Freedom Bookshop, Angel Alley, 84b Whitechapel High St. Map here. Public sector workers especially welcome! So the dust has settled after the 26th of March and the chattering classes on the Left now turn to June 30th. In the past few weeks, several public sector unions have voted to take coordinated strike action over attacks on pensions. Mostly teaching unions, including the usually moderate ATL, they will surely be joined by the PCS after their annual conference in May. 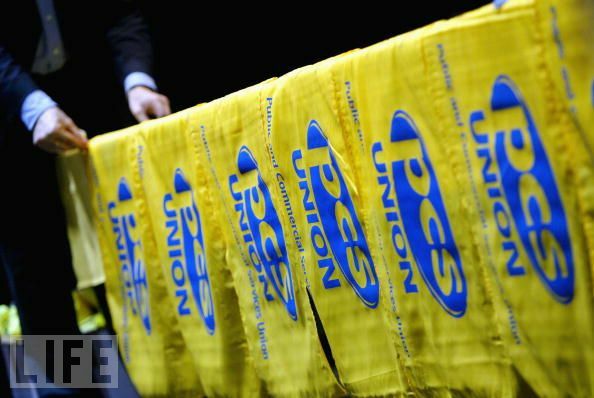 Delegates from all branches of PCS met in Brighton last week for the Annual Delegate Conference. 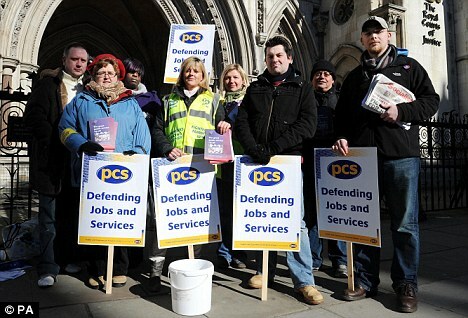 Striking civil servants have set up pickets in Westminster to embarrass the Government on Budget Day. Steve Ryan reports. 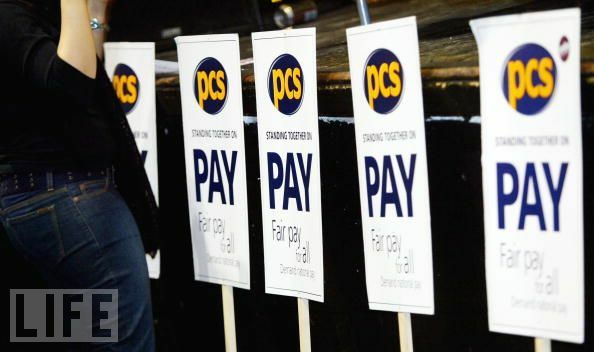 Despite the excellent support for the two day PCS strike on 8th-9th March, it seems the government are refusing to negotiate on the changes to the Civil Service Compensation Scheme. 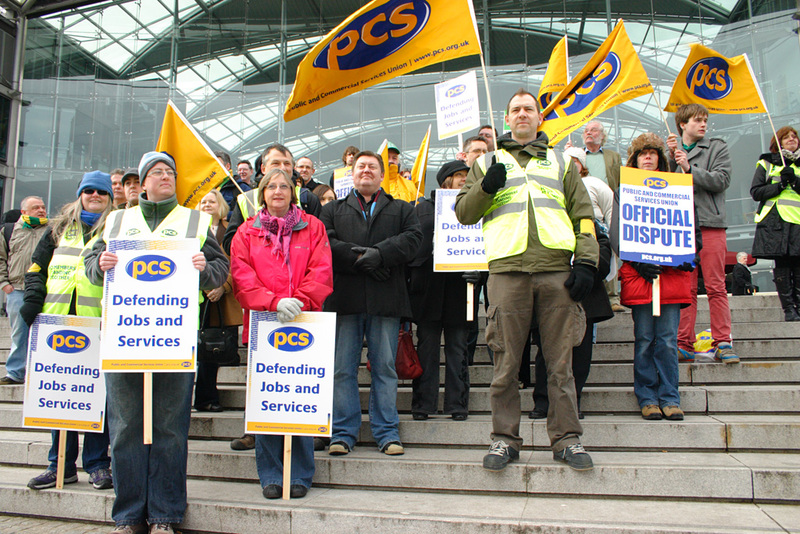 Readers of The Commune may be aware that PCS members have voted to take action over the threats to the Civil Service Compensation scheme. 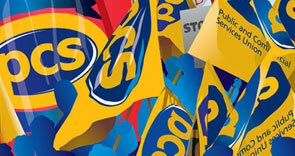 This in essence means that 250,000 public sector workers will be out on strike on 8th and 9th March.